iPad pre-orders are just starting to ship out and Best Buy is getting prepped, but Apple's just posted up a whole slew of its Guided Tours to hold you over until April 3. Sadly, we're not seeing any entries for "How Do You Type While Standing Up" or "Why Do I Need A $30 Dongle To Get A USB Port On This Thing," but the entries for Mail, Safari, iBooks, and the rest do include some revealing new information -- and it certainly seems that tap-and-hold will be a big part of the UI paradigm. We're still watching them all -- let us know if you see anything interesting in comments. iBooks has an integrated search feature, a built-in brightness control, and a dictionary that can pull up any word just by tapping on it. The same dictionary is in Pages, too -- we're assuming it's a system-wide feature available to any app, just like on Mac OS X. We've been told in the past that it supports user dictionaries and spellcheck, but we'll see what actually ends up shipping. There's a quick mention of connecting the iPad to your home stereo in the iPod video, but no mention of streaming to the Airport Express or an Apple TV. There's a big missed opportunity. Typing with one hand on the portrait keyboard in Pages looks just as silly as you'd expect. Numbers has a special formula keyboard. Tap and hold is everywhere, and unlike the iPhone, the UI has "windows," which are detailed info panes that float above the main app interface. 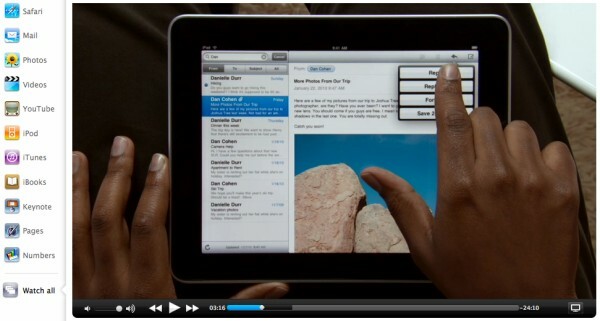 The iWork apps also all have a "menu bar" area in the upper right that contain several options. You can see how interacting with an iPad will be familiar but still quite different than using an iPhone -- depending on the apps, of course. 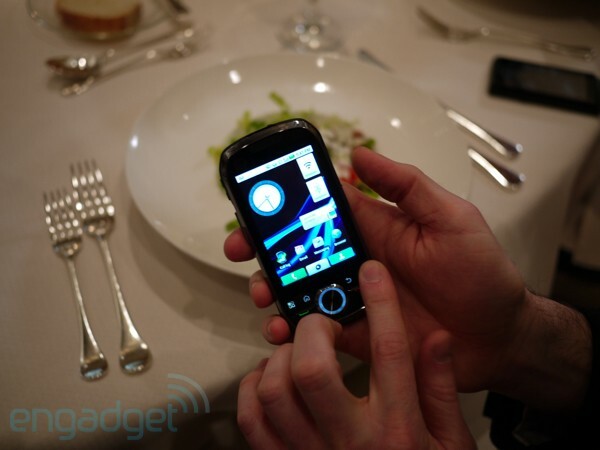 AT&T won’t allow unsigned Android apps on the Dell Aero? According to a circulating rumor, the Dell Aero will follow in the footsteps of the Motorola BACKFLIP by prohibiting the installation of unsigned applications. If this rumor pans out, applications for the Aero can only be purchased and installed through the Android Market. The reason behind this decision was not disclosed but apparently it is a blanket policy that will apply to all Android devices on AT&T. As a result of this decision, the Aero will not have the “With Google” branding that graces many of the Android phones currently on the market. If Google is not the centerpiece of the services on the phone, AT&T may be free to swap out Yahoo for Google and put its custom software on the Aero as it did on the BACKFLIP. Any Android fans out there ready to organzie a boycott of AT&T? We're shmoozing with Motorola's team and Mike Rowe -- yes, the Dirty Jobs guy, who's been fittingly selected as the rugged i1's spokesperson -- and we're starting to get our first fleeting moments with Motorola's first Android-powered Android set in the flesh. Believe it or not, it might be the best-feeling Android phone from Motorola to date, besting the CLIQ XT and Droid with a tasteful mix of black chrome and rubber around the edges; if it weren't for the lack of bona fide 3G, we could realistically see putting this in our pockets over, say, a myTouch 3G, Hero, or Behold II. We've been able to confirm that they've basically taken the UI look and feel introduced by Blur and subtracted... well, the things that actually make it Blur, namely the integration with Blur servers that brings social service aggregation into the fold. Will it appeal to the iDEN demographic? Hard to say, but Mr. Rowe certainly seems amped on it. Check out the gallery below! 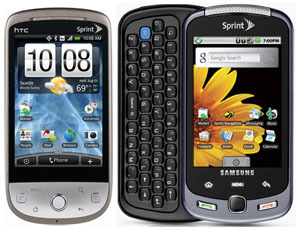 If you recall, about a month ago Sprint tweeted that it was working on delivering Android 2.1 upgrade for its HTC Hero and Samsung Moment in early Q2 this year. An optimistic guess would be April, right? Funnily enough, Techie Buzz has heard that two eager customers managed to squeeze a more precise date out of Sprint over a phone call -- end of March or even March 26th. Don't go reaching for that champagne just yet, though -- a self-proclaimed Sprint employee shared a recent internal memo on XDA-Developers forum, revealing that it's "actively working on having the Android 2.1 platform available to our Hero and Moment customers over the coming weeks," and that "more information coming in April." Oh Sprint, you do love playing with our little minds, don't you? I just preordered my Apple iPad and let me say this ... it's freaking amazing. It looks amazing, the specs are amazing. Let's talk more about the spec. The iPad comes in 16,32, or 64g memory flash capacity. Its demensions are 9.56 inches high, 7.47 inches wide and 0.5 inches in depth and weighs in about 1.5 to 1.6 pounds depending if you buy the Wi-Fi version. This is kinda like a regular notebook you buy for school and stuff. So I went to this site AccessoryGeeks.com and they seem to be the one to have ipad accessories when the iPad goes on sale. So, the iPad is finally available for pre-order, and it turns out the half of the Giz staff that bought one aren't alone: CNN estimates Apple received about 120,000 iPad pre-orders on that first day alone. That 120,000 number is mostly a guess, but is also probably right: Using sampling, they subtracted Apple's typical daily online sales (about 16,500) from its Friday online sales. The sampling's too small to be exact, but they also took a look at what model those customers were going for—and it turns out they probably haven't read our lovely poetry, the fools. Purchasing was split almost exactly among the 16GB, 32GB, and 64GB models, although nearly 70% opted for the Wi-Fi-only model (possibly because the launch of the 3G model is a bit farther off). Like I said, it's an unconfirmed estimate, but those are extremely strong numbers for a new-category product like the iPad. So you thought awesome gear never made the transition from Korea to the USA, huh? 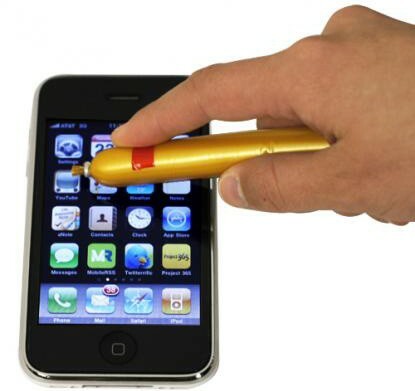 Not so in the case of the infamous sausage stylus we spotted a month ago. That cold weather peripheral -- allowing its ingenious users to operate a capacitive touchscreen with gloves on -- has made the big leap over to the Americas and can be yours for the low (seriously low) price of $0.99. Naturally, it's a sausage, so it will be compatible with not just iPhones but anything receptive to capacitive touch, although you should be cognizant of the "not for consumption" label -- compatibility with human stomachs is unlikely. Heads-up, kids -- AT&T's first-ever slice of Android is now available. Just let that sink in a minute. Feels good, doesn't it? Motorola's Backflip has gone on sale just as promised, and that debatably awesome Blur action can be yours for $99.99 after mail-in rebate and a 2-year agreement. So, you pulling the trigger, or you are you waiting for whatever Dell and / or HTC are bringing to the party? 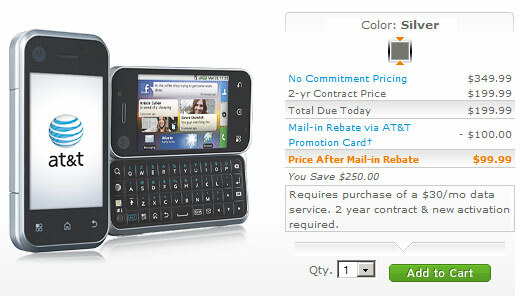 AT&T's first Android handset is the Motorola Backflip. AT&T has removed all the embedded Google search widgets and apps that are part of the Android platform and replaced them with Yahoo instead. The Yahoo search widget leaves out some major features that are included in Google search. First, there is no voice search of any kind. The Backflip also provides no way to alter the way the Yahoo search app behaves. Google's search app lets users fine-tune how searches are conducted across the web and the device itself. AT&T spokesperson Warner May explained to Phone Scoop, "Yahoo is the default search engine on the Backflip. However, you are of course free to access and use Google search if that is what you prefer. Google doesn’t currently make available a widget or app that would let you do Google search directly from your phone’s home screen." The Backflip's Android browser also defaults to Yahoo search, and doesn't offer Google, Bing or any other alternative within the browser software. The only way to perform Google searches are by directing the browser to Google.com and then performing a normal web search from the Google Mobile home page. AT&T wouldn't comment if its future Android devices will also include Yahoo search in favor of Google Search. 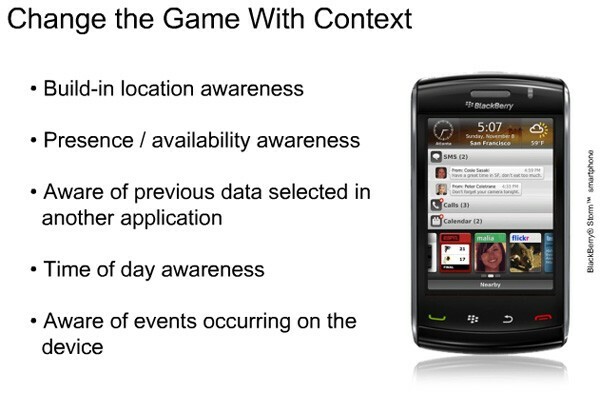 RIM dev webinar hints at BlackBerry OS of the future? See that Storm-esque device there? You may have noticed that the home screen looks positively nothing like the experience you're used to -- and that's because it's not. Shown off as part of a slide deck in RIM's "Super Apps" webinar for developers last week, the company's official explanation is that this is a pure, off-the-cuff mockup, not indicative of anything they're working on for future devices or releases of BlackBerry OS. To be fair, when you take the shot in context with the bullet points and the fact that this presentation was geared squarely at devs, we can imagine that they really were just using it to get folks' creative juices flowing -- but it makes you wonder, doesn't it? There's enough active and location-aware content here to make even a heavily-widgeted Android home screen drool, so seriously, why not do this in 6.0, RIM?